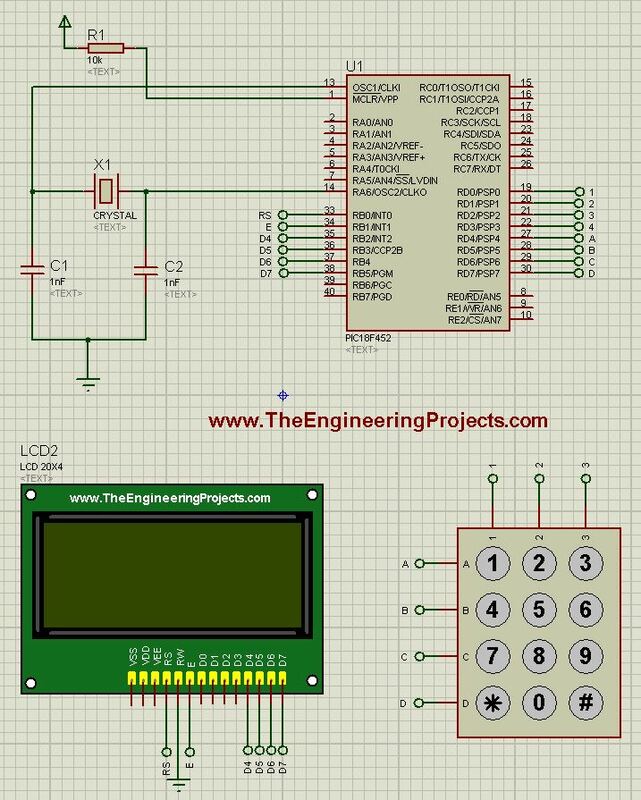 A complete step by step tutorial on Interfacing of Keypad with PIC Microcontroller. Hello everyone, I hope you all are doing great. Today, I am going to share a very basic tutorial on PIC Microcontroller, which is Interfacing of Keypad with PIC Microcontroller. 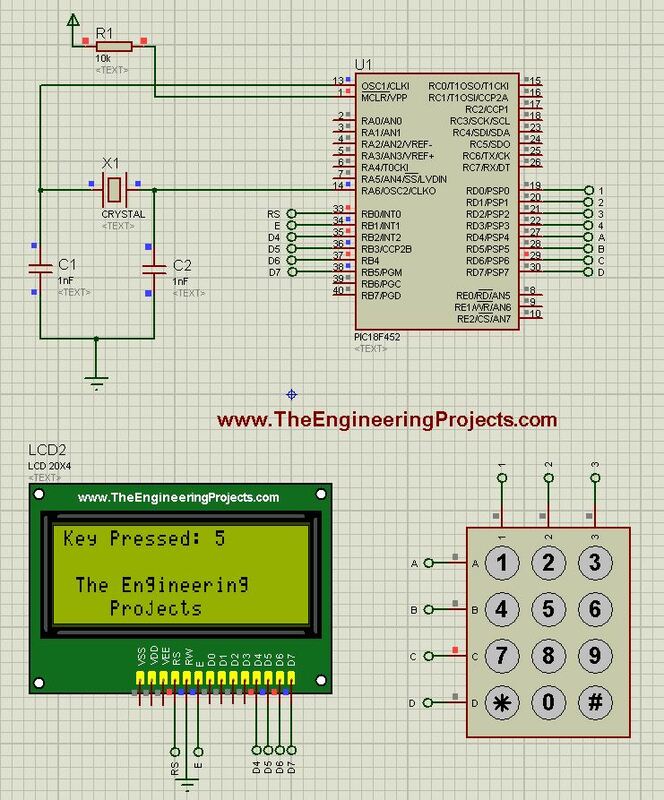 I have designed this simulation of Keypad with PIC Microcontroller in Proteus ISIS and the simulation along with code is given below for download. But I would suggest you to read it first and then design it on your own so that you learn most out of it. Now, let’s design it step by step. I have used LCD Library for Proteus so download it first and then run this simulation. Now paste the below programming code in MikroC Pro For PIC. In this Programming code, the key pressed on keypad will be displayed on the LCD. So, when you press any button on the keypad, it will appear on the LCD. Now get your hex file and upload it in your Proteus Simulation. So, in the above figure, I have pressed button 5 on the keypad and it is shown on the LCD. I followed the this tutorial. I noticed that the screen, the microcontroller and the button are not connected. So will it work like that? These are connector Pins, and they have same name on both ends. It’s like a wireless connection in Proteus 😛 just to make simulation clear. Thank you for shearing this project, I am new in coding i try to make a code lock system by your concept but i am facing some problem in keypad program. can you please shear a keypad_Key_Click() code.